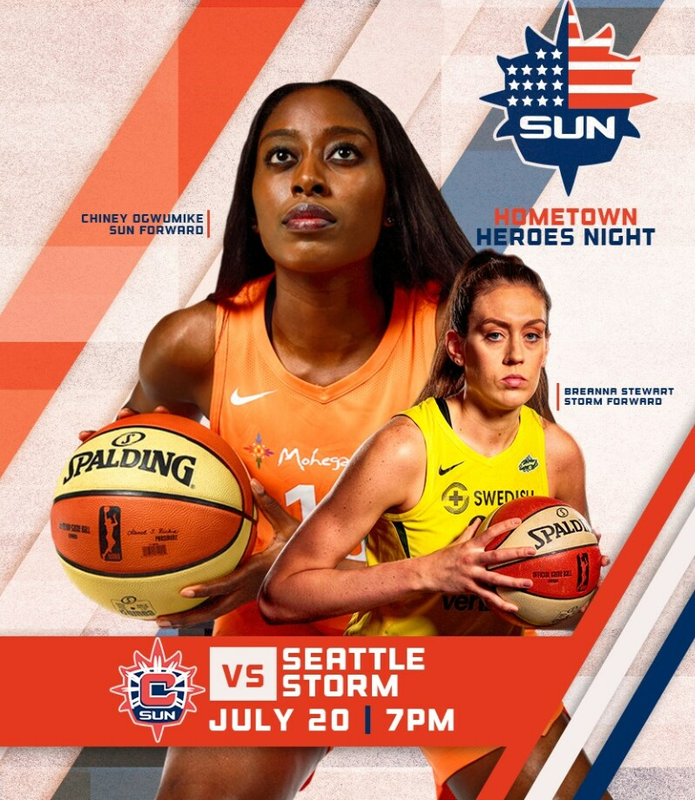 Join us as we honor our hometown heroes: Come catch the Connecticut Sun take on the Seattle Storm as we show our appreciation to first responders as well as the service men and women that protect our nation each and every day! To learn about the ways Fox 61 helps bring recognition and awareness to our local first responders follow the link below to see details about Fox 61’s Proud to Serve program! If you would like to nominate a first responder to be honored by Fox 61 click the link below for more details! Bonus: All active and retired military personnel receive 15% off of their concessions purchases with a valid military I.D. This game is gearing up to be a highlight of the season. Will you be there? Don’t worry! You can still catch the game live, on NBC Sports Boston!